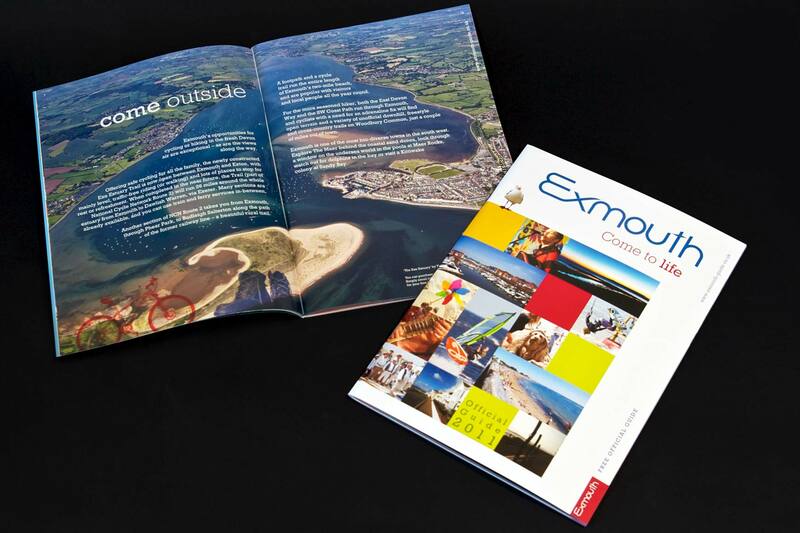 Graphic Design for the official Exmouth Guide for 2010, 2011 and 2012. Bringing a town to life in the beginning of a recession, kickstarting a drive for modernisation. 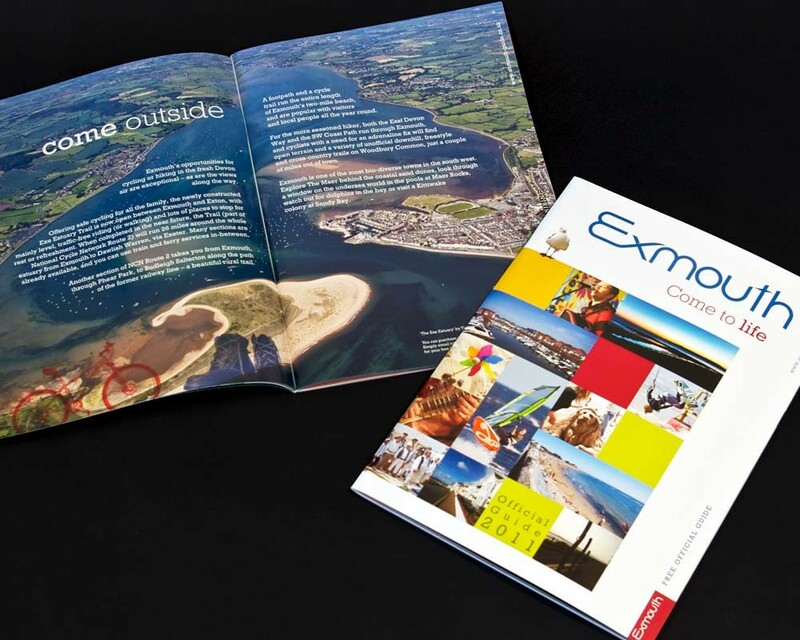 How do you rebrand a town that is lacking investment, and needs new life? 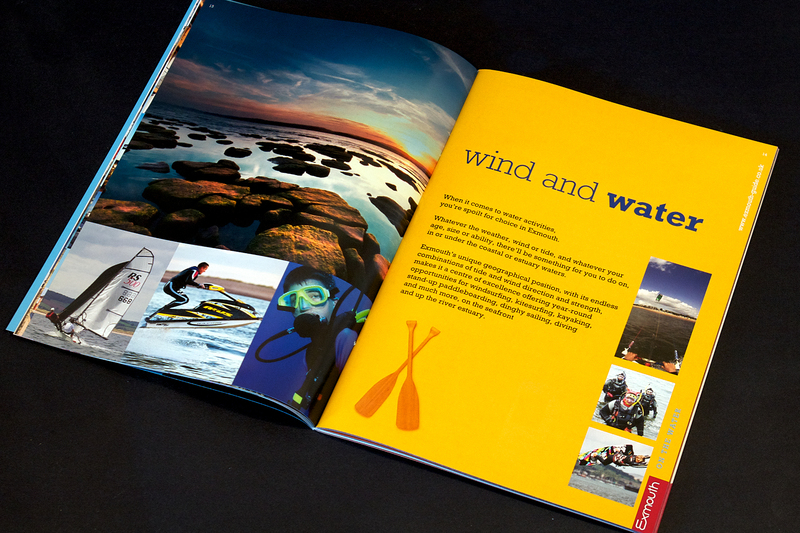 I created a theme based on the Devon style guide (published by Devon County Council) that pulled elements together to communicate a strong identity. 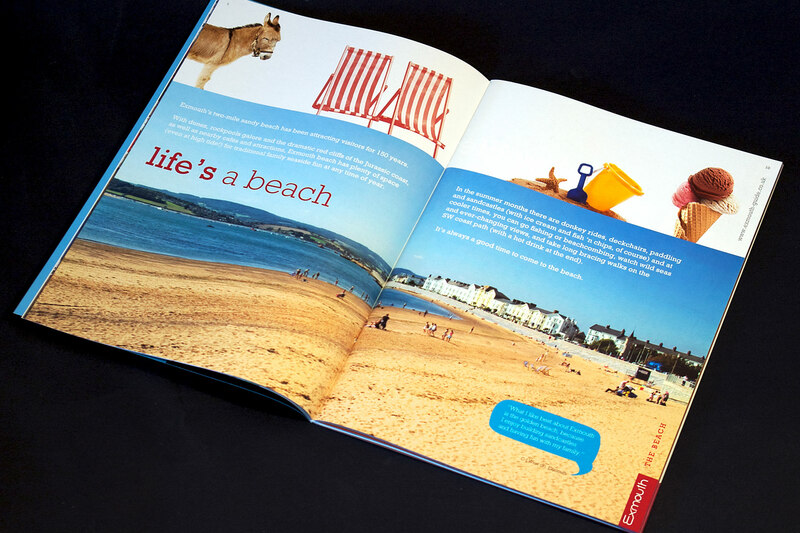 Utilising photography from many good local artists (including amateurs) who very kindly donated their shots to help the cause, the finished result is vibrant, and added a spark to the marketing of this seaside resort.